If you are at least 18 years of age and curious and capable and resourceful, with a capacity for self-reflection, an ability to trust other people, and a deep sense of purpose, then you can to go to Mars . Maybe. The Mars One project, which is planning to send a group of people to colonize the Red Planet, has officially opened its applications process to public voting . If you are one of the people ultimately selected for the program, if all goes according to plan, you will depart Earth in 2023 to follow in the epic footsteps of Magellan and Gagarin and Armstrong, staking a claim for humanity's extension into a new and unknown world. The only catch? You will not be coming back. 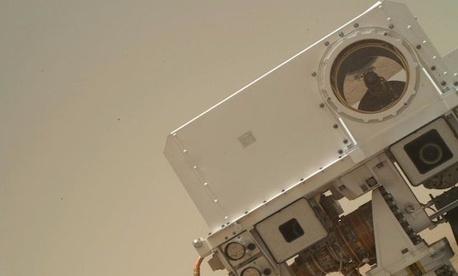 Yep: It's named Mars One in part because what it offers is a one-way ticket. In positive terms, this means that the program promises its participants the adventure of a lifetime. In more negative ones, it means that the lifetime in question will likely reach its conclusion somewhere outside of Earth. And that's a feature, not a bug. Our new relationship with the world beyond Earth's borders, Mars One declares , "will be characterized not by rovers and probes, visits or short stays, but by permanence. From now on, we won't just be visiting planets. We'll be staying." Mars One might be the highest-profile experiment we've yet seen when it comes to one-way space ticketing. It might be the one that has inspired the most nerdy conversations ("so, would you take a one-way ticket?") this past week. It might be, with its permanent cast of castaways, " the world's best reality TV show ." But the one-way trip from Earth -- to the moon, to Mars -- has been a longstanding dream of space flight. One that's almost as old as the dream of space flight itself. The return leg of a trip to space has always presented particular challenges to engineers, in the way that safely landing an airplane has always presented a particular challenge to pilots. (And those challenges have extended, of course, to budget directors and administrators.) So engineers and physicists, people who tend to be pragmatic above most else, have long been proposing manned space missions that would leave the man (or woman) in question stranded in space. Temporarily, or permanently. Read more at The Atlantic .